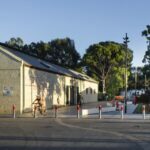 The Holland Street Streetscape Upgrade is a transformative urban initiative for a changing precinct. 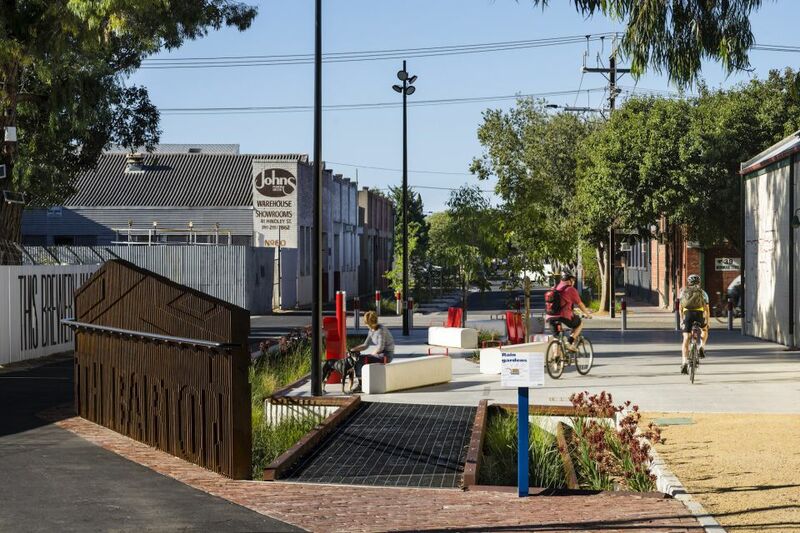 The public realm and streetscape is now defined as a key Meeting Place, where Holland Street meets the River Torrens. A significant stormwater harvesting system below the plaza provides the majority of irrigation requirements to the space and streetscape beyond. 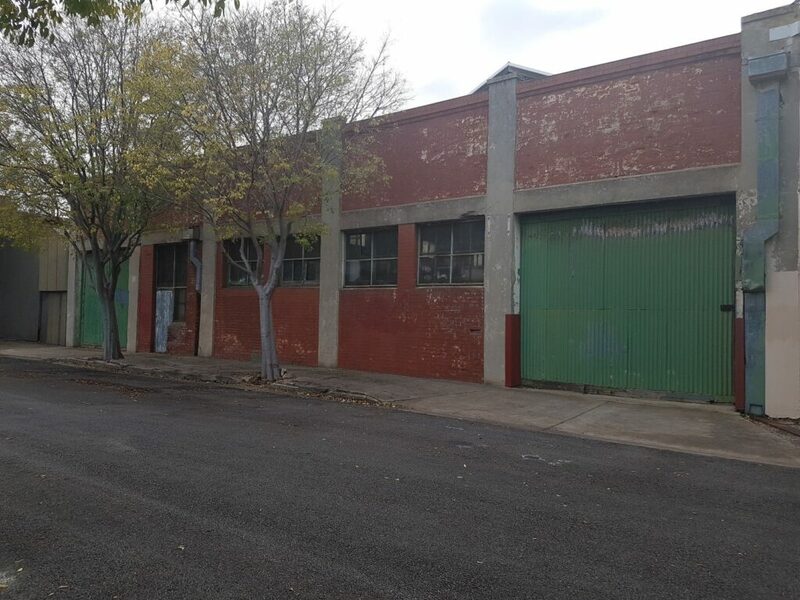 The underpinning design philosophy was to rejuvenate Thebarton, inject life whilst protecting the gritty character unique to the precinct. 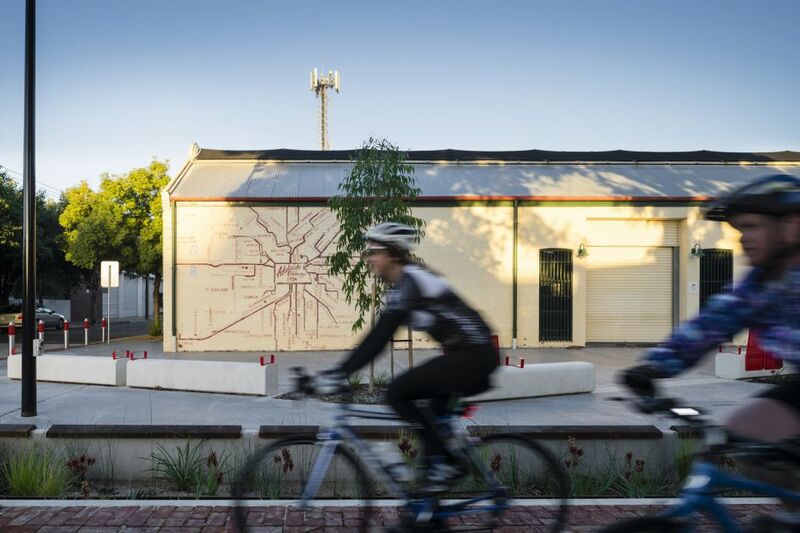 Integrated water sensitive urban design (WSUD) initiatives, artworks and a street focused on cycle and pedestrian movement has meant a design approach new to not only the precinct but also the City of West Torrens. 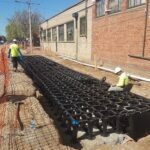 Stormwater run-off from paved surfaces is captured in an interconnected system of biofiltration beds. This is then directed to an underground tank within the plaza that provides site irrigation. 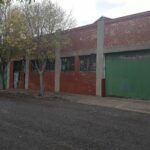 Overflow from the storage facility is directed to a planted swale. 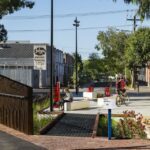 The built outcome also provides significant social and economic benefits to the immediate area with a marked increase in vibrancy and public life. 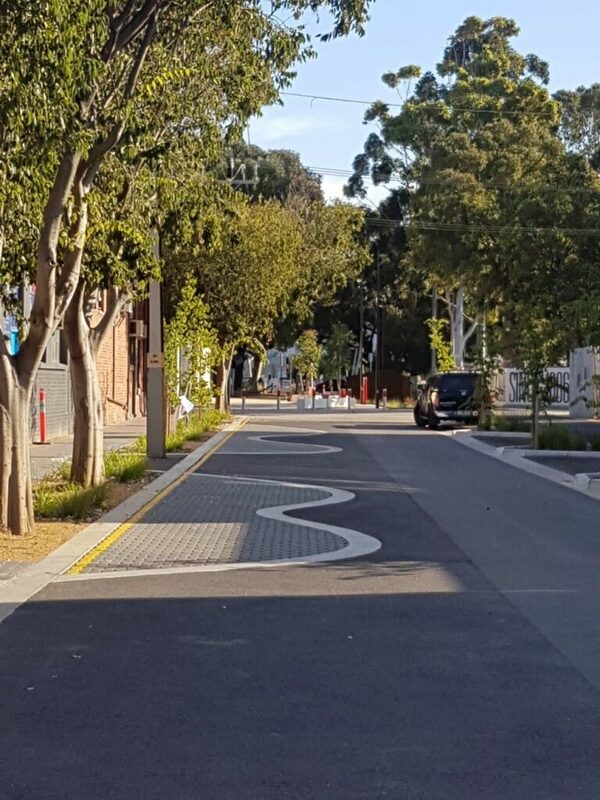 The ultimately design was able to preserve and feature the existing street trees along the western side of the road due to the new vertical design of the road and the single cross-fall. This design removing the damaged and conflicting kerbing and raising of the road pavement in this area. Enabling the new to be constructed without excessive excavation which would have substantially damaged and compromised the roots of these trees. 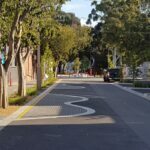 Several new trees were established along the western side of the road (where there were existing gaps in the plantings) and within the new plaza area. 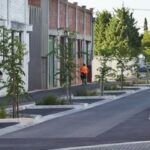 To facilitate health and expedient growth of these trees whilst also designing to minimise the potential for future asset conflicts, these new trees were established in ‘StrataVault‘ installations. 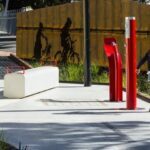 These ‘StrataVault’ installations provide for structural plastic elements to support typical surface treatment bedding and pavements in replacement of the typical compacted subgrade. The plastic cell arrangement then enables backfilled placement around the trees with relatively uncompacted growing medium to benefit the controlled growth of the new trees. 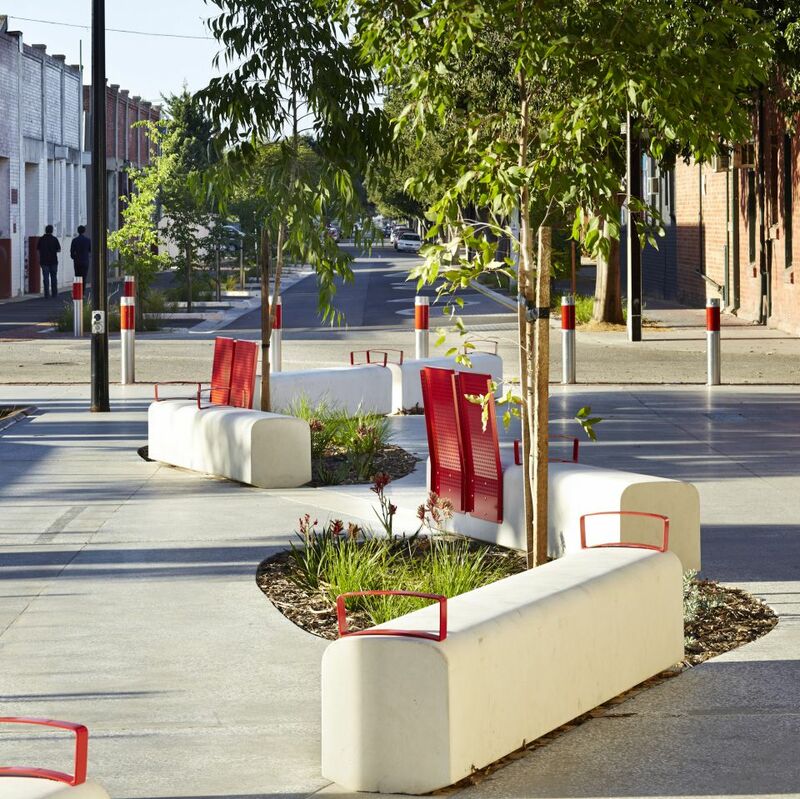 The plaza has been design with a sunken garden bed to add feature to the locality and also provide separation between the casual use multi-functional space and the highly utilised continuation of the shared path bridge. 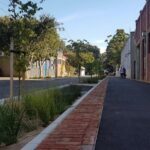 The sunken garden also has the dual purpose of being a WSUD raingarden which collects all stormwater runoff from the plaza and adjacent building, as well as from a reasonable catchment coming out the brewery site to the east. Treated stormwater which has passed through this raingarden is then collected within a 50,000 litre storage tank located under the plaza pavement. The majority of any excess water from the catchment is still passed through the raingarden and hence cleaned prior to discharging to the adjacent River Torrens. The harvested stormwater is then used for irrigation within the plaza and back through the upgraded streetscape. 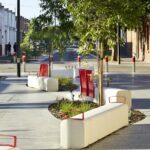 The provision of sustainable irrigation in the streetscape has also enabling justification for the established of low level landscape along the road verge providing substantially increased amenity to the street. As this section of Holland Street upgrade is only the first of several planned to be accommodated in the direct vicinity, the supply/demand balance of the stormwater harvesting and irrigation installations have also been designed to facilitate further extension into these future stages. 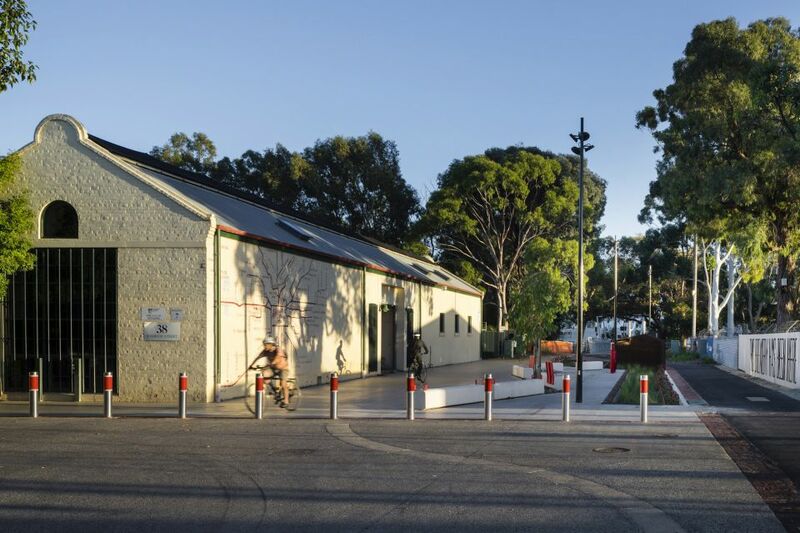 Contact us to provide any new information or images for existing WSUD projects.